Sixteen years ago, the Sony PlayStation introduced us to a video game different than any other at the time. It had a fully detailed environment, full 360 degree controls, and starring a female heroine unlike no other. The game was Tomb Raider, and it was amazing. With it’s challenging puzzles, difficult learning curve and reasonably long campaign (for the time) it was embraced by many. However, nothing quite stood out like Lara Croft, the star of the game. The character was so popular that she quickly entered the pop culture mainstream and became the most famous digital creation since Mario and Donkey Kong in the 1980’s. This may have been due in part to her overdone physique – it wouldn’t be an understatement to say feminists were outraged – but there was no denying her popularity. Even non-gamers knew who she was. Of course, like all winning video game series, sequel after sequel started being made. Of course, they started getting progressively worse and worse. The company tried something different on the PS2, but the result was the horrid Angel of Darkness. Things improved after that debacle, but they never fully recovered. Finally, someone decided instead of another half-assed game, to start from scratch and reboot the whole property. Bringing Lara back to her roots may have been one of the best decisions made in the video game industry. 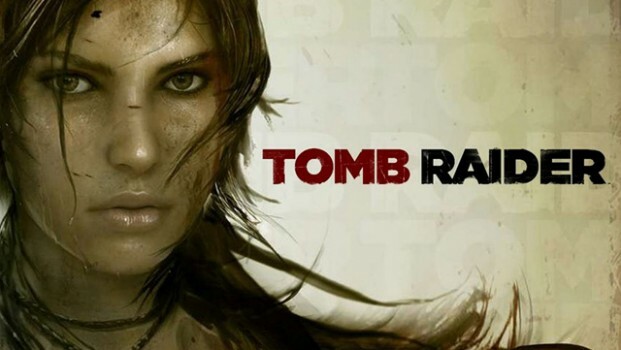 Taking place before Lara becomes the fearless treasure hunter we know, this game shows a VERY vulnerable girl. She is scared, she gets hurt and you genuinely care for her – she is a human, not a superhero. After her and her friends are stranded on an island, she must fight the elements, natives and other strange goings-on in order to survive. Armed with only a bow and arrow to start, there isn’t a thing that doesn’t prove a challenge. As the game progresses, she slowly starts turning into the hero we’ve come to expect. As for the game itself, it runs unbelievably smoothly. Cutscenes transition into gameplay nearly flawlessly. The controls, aside from a few aiming issues, are superb. Trophy/achievement hunters will find lots of stuff to do. Once the game is over, the island opens and becomes you’re own personal playground. The only real downside to the game is the multiplayer – it is completely unnecessary and shouldn’t have been included. I understand the need some people have to play it, but this has always been a single player experience, there was no need to change it. So, after years of low quality sequels and two botched movie attempts, the Tomb Raider series is finally back on track. This may be, dare I say it, then best PS3 game yet released – and I’m a huge fan of many of their games. Buy it, rent it, borrow it, whatever… just play it!